A lesson from Rubik’s Cube. The 70’s, Rubik’s cube was all the rage. I remember the first people who could solve these being on TV and interviewed on the radio, some could even solve it in less than an hour! There was a fame to be had for those who could consistently solve the cube. Fast forward to 2009. Some friends had come up to Bendigo. Mark had a Rubik’s Cube with him. Someone jokingly said 50c says you can’t solve it in 3 minutes Mark. Two minutes 50 seconds later the puzzle was sitting on the table–solved. Do you have a Rubik’s cube in your business, a task where someone has worked out a big shortcut, and the knowledge is just there for the taking? A task that you struggle with every day, tediously working hard and getting inconsistent results. We have all been guilty of reinventing the wheel. It’s a case of how many wheels should one reinvent. I was once told: It’s not what you don’t know that will cause you to fail, its what you don’t even know that you don’t know. Every week these “Rubick’s moments pop up in conversations with my business coaching clients. 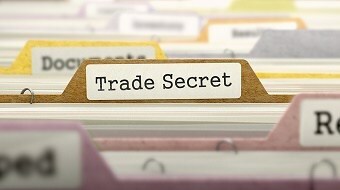 I call these the trade secrets of business. They can be worth 10’s, even 100’s of thousands of dollars to that business. The person you like at the interview is probably the wrong person for the job. There are 4 distinct types of people. Dominant, Influencers, Supportive and Conscientious. There are 5 ways people feel appreciation, and no one way works for everyone. Sales is a structured process, no structure, no sale. Most people are not motivated by money. For many businesses a 67%increase in profit is easily attainable. Not making a decision IS the decision. Based in Bendigo Jim Boyer is a business coach that works with businesses all over Australia. Business Owner Thanks Staff for a Job Well Done and is Accused of Not Showing Appreciation.